Yesterday Apple officially released the latest update to its mobile operating system, iOS 11.3. 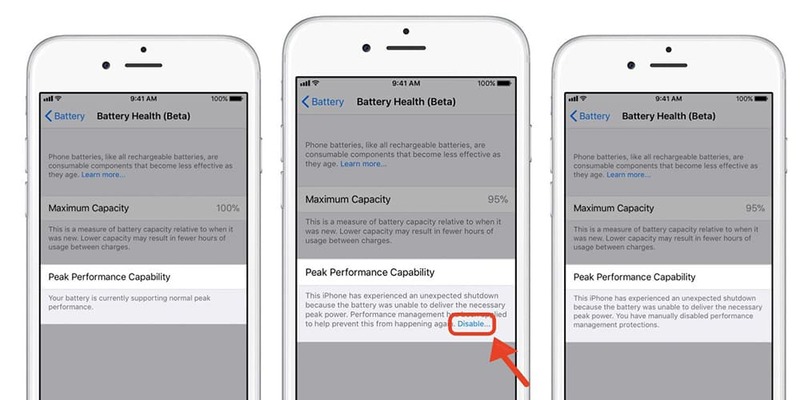 The new update brings with it many new features and updates, but the one that was probably most anticipated was the new iPhone Battery Health app that was promised after Apple was busted slowing down iPhones. In your performance management, you will be able to easily check if your iPhone is being throttled or not. After this update, if you own an iPhone 6 or 6 Plus, iPhone 7 or 7 Plus there is a good chance that the phone is already being throttled. From your performance screen, you can choose to disable this throttling or not. But, if you do, you may experience early shutdowns of your device because of poor battery life. One thing you should know. If your iPhone experiences an unexpected shutdown, it will turn on the performance throttling when it is restarted. So if something happens, you may need to check your performance again to make sure throttling hasn’t been turned back on without your knowledge. This new update for iOS does bring with it many new features, but many of them are being overshadowed by the new Battery Health app. With this app, you can monitor the health of your iPhone battery and find out if your iPhone is being throttled or not. If it is, you can easily disable the throttling, which is a must needed addition to iOS since the recent revelation of iPhone throttling. What do you think? Is this too little too late for Apple or are you glad to see them include this new feature along with a host of other bug fixes and new additions in iOS? Tell me your thoughts in the comments below.